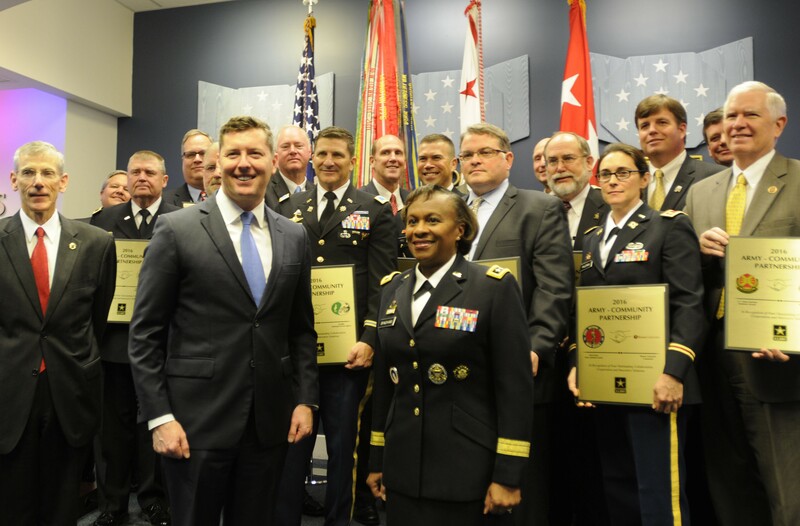 WASHINGTON (December 6, 2016) - The Department of the Army announced today the winners of the fiscal year 2016 Army Community Partnership awards in a ceremony hosted by Hon. Patrick Murphy, Under Secretary of the Army. Five U.S. Army installations and neighboring communities were recognized for demonstrating partnerships that improved Army readiness and developed strong community relationships. 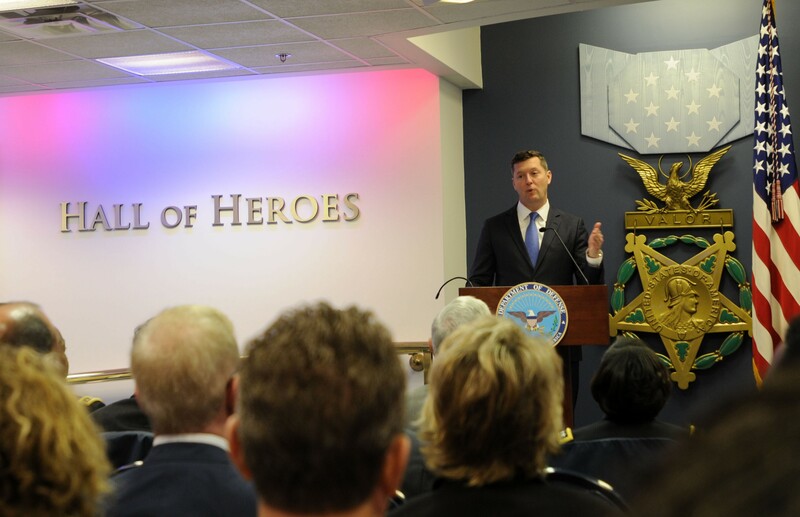 The intent of the awards program is to highlight examples of exceptional cooperation and diligence that will encourage further collaboration to achieve the full potential of community partnering, and their efforts have resulted in improved readiness. According to Murphy, "Across the Army, we are becoming more efficient and effective. Partnerships are an important way America's varsity team is doing more with less, to ensure our resources support soldiers maintaining their tactical and technical advantage. Our partnerships enable us to learn from others, and make us more innovative. They are a priority, and we are pleased to recognize our winners." The winners include partnership initiatives from the Tennessee Valley community and Redstone Arsenal; the New Jersey Army National Guard and Rowan University; Presidio of Monterey and the city of Monterey; Camp Guernsey and the town of Guernsey; and Alabama Army National Guard and Alabama Law Enforcement Agency; Andalusia, Dothan, Phoenix City, Central High School; USAF - Maxwell AFB - Gunter Annex; Alabama Department of Human Resources. Lt. Gen. Gwen Bingham, assistant chief of staff for installation management stated, "Strong collaboration and partnership between installations and their surrounding communities are vital to the success of the Army. We are honored to have an opportunity to recognize the tremendous contributions our communities make to the Army, our soldiers, civilians and families." Army community partnership awards are designed to recognize the vast spectrum of the significant readiness, mitigate budget shortfalls, and create efficiencies, cost savings, and cost avoidance that partnerships play in the future of the Army. More than 19 installations and neighboring communities were considered for the recognition. For additional information contact Dave Foster, U.S. Army Public Affairs at paul.d.foster3.civ@mail.mil or (703) 697-5344.